The largest watchmaker in the World, Swatch, reported that it profits in 2013 had jumped and that its start to the New Year was solid. Profits for the Swiss watchmaker were up 20.2% in 2013, despite the Swiss franc being strong which reduced the competitiveness of Swatch in Japan and the U.S.
Swatch added more than 3,800 jobs to its global workforce and now has over 33,600 employees. The company also announced a good start to the New Year as well. Shares at Swatch increased 4.7% in Paris during early trading. Profits in 2013 were helped by a one-off payment received from Tiffany & Co. the U.S. Jeweler. The companies entered into deal during 2007 for a partnership of 20 years, which fell apart during 2011. Swatch said the U.S. jeweler tried to delay and block its venture, and last year in December, Tiffany had to pay Swatch compensation of $448 million. 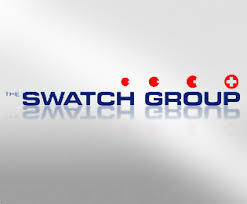 Swatch currently has 20 brands that range from its up market names such as Breguet and Omega to its plastic trademark watches. In 2013, Swatch purchased Harry Winston a U.S. jewelry company for close to $1 billion and took control over Rivoli Investment , which is a retailer and importer of luxury products that has 360 outlets across the Middle East. Sales of the company’s jewelry and watches at the company were up by over 10% in 2013. Swatch announced it was increasing market share as the watch exports for the entire Swiss watch industry grew only 1.8% through the end of November of last year. Of the added jobs, nearly 900 were for Switzerland in Grenchen where a new plant was built for watch dials, a Villeret component plant and a Boncourt production facility. The Swiss franc’s strength has hit the company’s electronic systems sector, which makes different microchips, specialized timing devices for different sporting events and miniature quartz crystal for low power. That unit lost close to 12 million francs and experienced a drop in sales of more than 3.9% for the year. However, the firm hopes with its very positive start for the year that its other sectors will offset any losses this year with the electronic systems sectors if the Swiss franc remains strong.